Fringed by the finest beaches at the foot of craggy cliffs, Kos is an extraordinary destination for any travel. But it’s not just the beauty of the island that will draw international cyclists from around the world to the UCI Kos Gran Fondo 2019 from 19-21 April. The challenging cycling race includes a 20.65km Kos GranFondo ITT race, a 124.6km GranFondo race and the 92.4km Mediofondo race. For children and teens from 8-16 years of age, there is a two-day Kos Junior Fondo race. The qualifier event, held for the second consecutive year on the island, is part of the UCI (Union Cycliste Internationale) Gran Fondo World Series. The event aims to promote high level competition among professional and amateur athletes. UCI events are held in various destinations, with around 21 events this year including the Brisbane leg of the competition that ended on 14 August. Earlier in the month, Cyprus broke the new participants’ record when the cycling race held a leg at the island. Events will all lead up to the 2019 UCI Granfondo World Championships to be held in Poznan, Poland, from 29 August to 1 September. 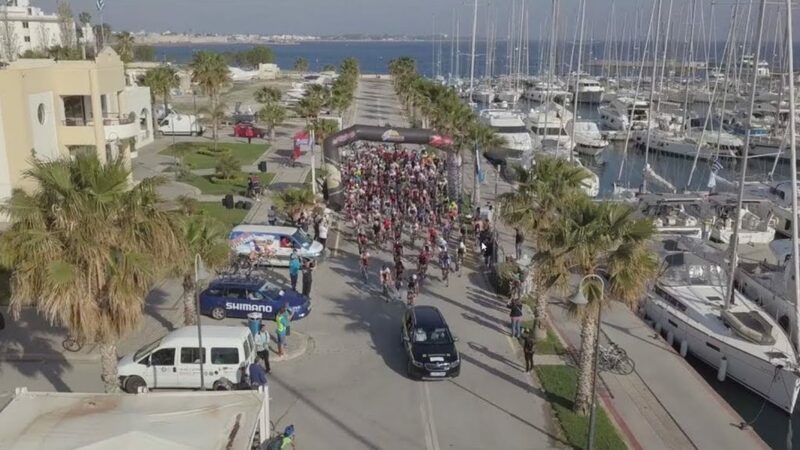 The Kos cycling event is co-organised by the Region of South Aegean, the Municipality of Kos, Sports Tours Hellas and the Kos Cycling Club. For more information visit www.kosgranfondo.gr.